This weekend see’s one of the biggest weekend’s in combat sport’s history. On Saturday night we will see the long awaited matchup between Khabib Nurmagomedov and Conor McGregor for the UFC lightweight title, but the night before is a big night for the grappling world, with the biggest Quintet competition to date. 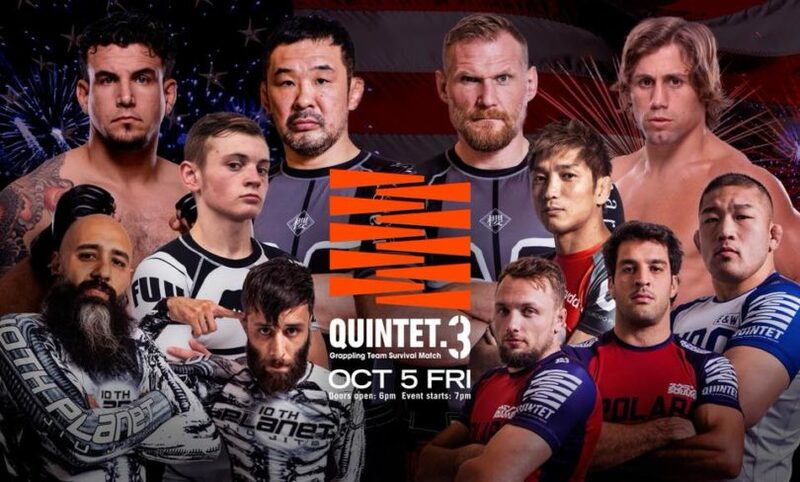 Quintent 3 have risen the bar for their third iteration, bringing back two previous winning team, a strong lineup from Team Alpha Male and the return of Sakuraba’s team. 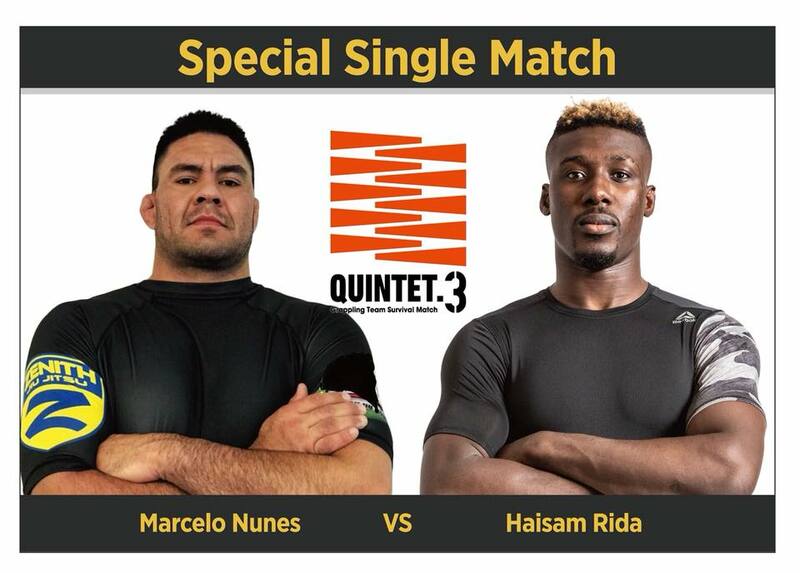 Team Sakuraba is back for their third outing at Quintet 3 with the return of Josh Barnett, who sat out of Quintet 2. 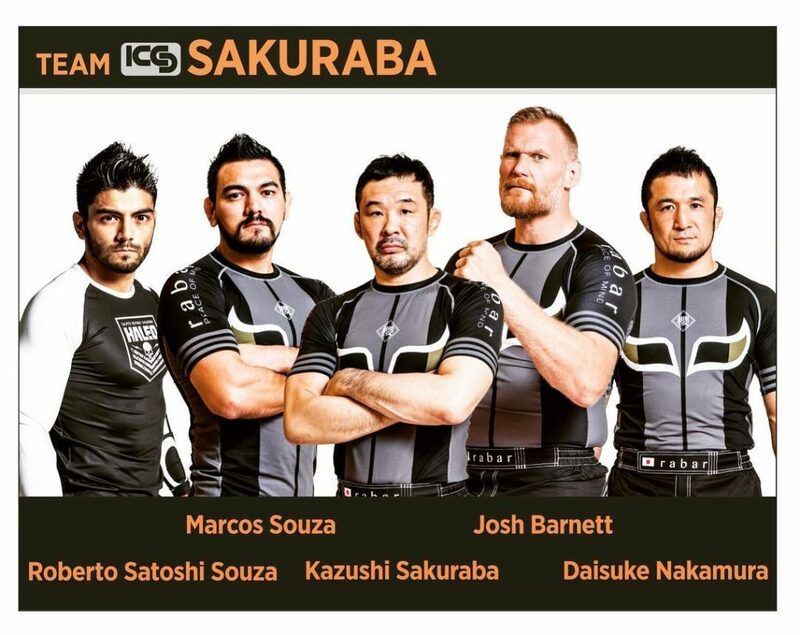 This time we see Brazilian Jiu-jitsu Black Belt Roberto Satoshi enter the team to create a dynamic lineup of heavy hitters and quick aggressive lightweights. 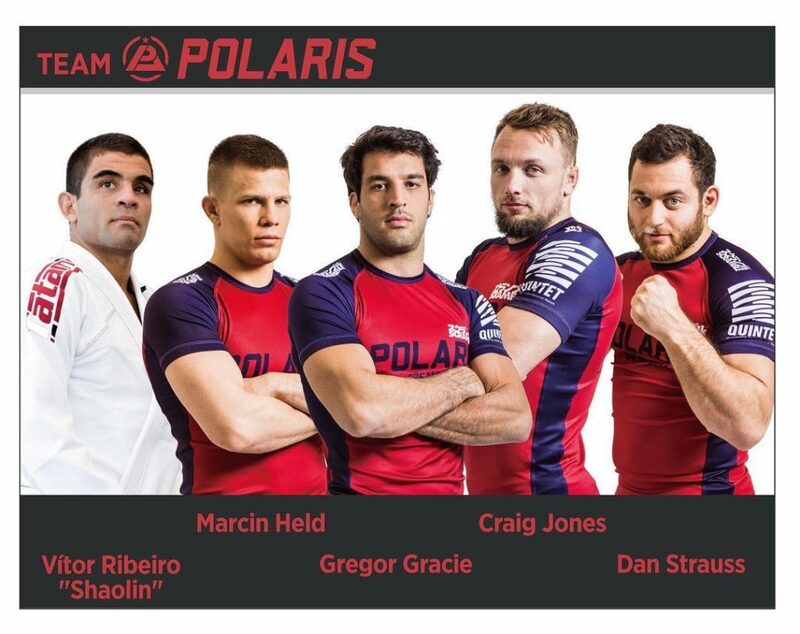 Quintet 1 winners Team Polaris almost back with their original line up. This team features 4 out of the 5 original lineup with Vitor ‘Shaolin’ Ribeiro replacing Caol Uno. Fun Fact, Shaoiln and Uno actually fought each other at Polaris 6, with Shaolin coming out victorious. We also Gregor Gracie’s welcome return to competition. After an injury during his Polaris 7 match forced him to concede, it’s good to see him back on the mats grappling once again. Will we see Craig Jones and Marcin Held dismantling their opponent’s again or will they get stopped in their tracks by the other teams? 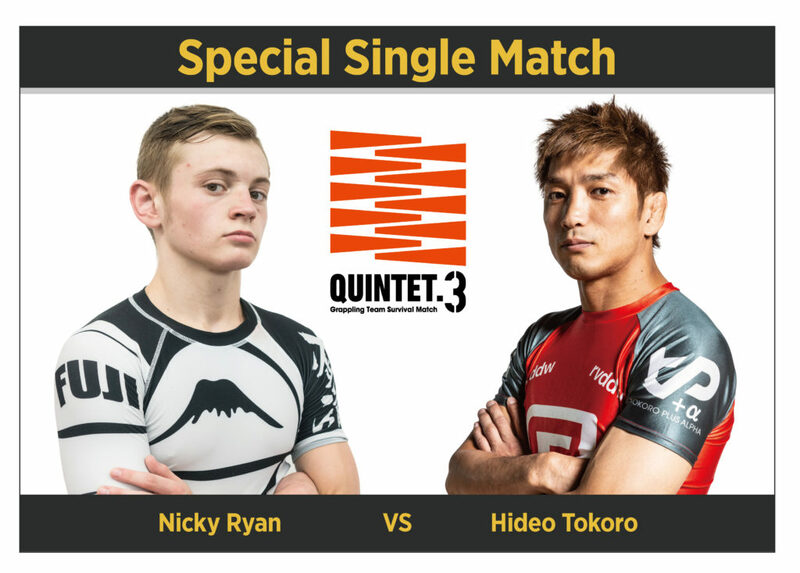 Quintet 2 winners are back with the same team that won their debut Quintet competition. 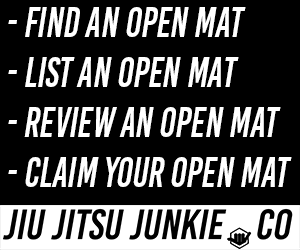 Managed by Mr Eddie Bravo, the team once again consists of 10th Planet’s belt grapplers at all weight levels. We’re all hoping for another David and Goliath battle with Geo Martinez and a heavy weight, we all know how that turned out last time. Representing the MMA world is Urijah Faber’s team, Team Alpha Male, which is frankly, a mixed bunch of grapplers. Most notably is the late inclusion of the formidable Gordon Ryan, who has been tearing up the competition scene since breaking into the Grappling world, what he has to do with TMA is anybody’s guess, but he is in the team nonetheless. Also part of the lineup is former Marcelo Garcia student Mansher ‘Munch’ Khera, Team Alpha Male\s wrestling coach Dustin Akbari and Antoine Jaoude. To make this event even more special, we also have the inclusion of 3 super fights to break up the night. 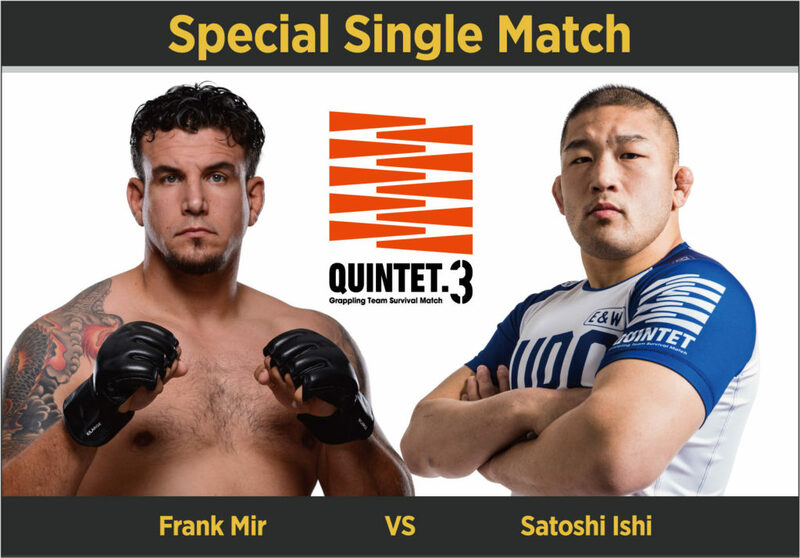 The heavyweight super fight features UFC hall of famer and legend Frank Mir going up against Olympic Judo gold medalist and Quintet veteran Satoshi Ishii. This going to be a clash of the titans, expect big take downs and bigger grappling. With the announcement of quintet, we also saw the release of the opening backets in the competition. We know that Reigning Champion Teams, Polaris and 10th Planet will be facing each other first, while Team Alpha Male and Team Haleo will be going at it in the first round. This is a very difficult one to call, both teams have some incredibly high caliber fighters. We predict this match as more of a back and forth matchup with submissions and draws a plenty, this one will go down to the wire. 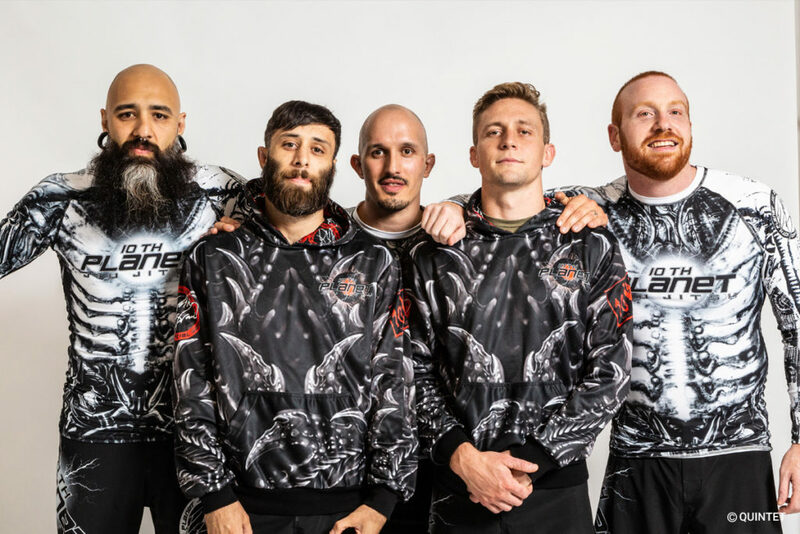 With the inclusion of Gordon Ryan, Team Alpha Male has now become a formidable force in this competition. If Team Sakuraba don’t manage to stall him to a draw, he could potentially go through the entire team.